School of Medicine, Dentistry and Biomedical Sciences, Centre for Cancer Research and Cell Biology. Available immediately for 3 years to research the development of bioinformatics methods and techniques related to gene-expression connectivity mapping, and their novel applications in biological and biomedical sciences particularly in cancer research. Please visit our website for further information and to apply online – Visit Official Website. 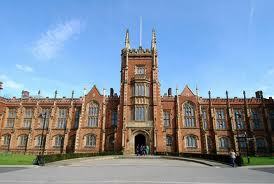 Demikianlah informasi Research Fellow at Queen`s University Belfast kami sampaikan, semoga bermanfaat.